The GPS 15xH is highly versatile, high-sensitivity sensor designed for a variety of OEM applications, including car navigation, wireless communication, marine navigation and mapping. Slightly smaller than a common matchbook, the GPS 15xH weighs approximately 15 grams. The GPS 15xH replace the GPS 15H series. Both the GPS 15xH have true RS-232 ports, and offer excellent EMI/RFI performance, so you can use it near mobile computing devices and wireless communications equipment with minimal concern of interference. Note: This GPS is basically a drop-in replacement for the GPS 15H-W. The main difference is that this new version has a faster processor, has 20dB better RF sensitivity, consumes about 6 to 8 mA more than the GPS 15H-W and does not support Baud rates below 4800. High sensitivity, WAAS enabled, multi-channel GPS receiver; Accuracy better than 3 meters 95% typical with WAAS; On-board real time clock; 1uSec accuracy pulse per second output; One True RS 232 output, Two asynchronous serial inputs compatible with RS 232 or TTL voltage levels; RS 232 polarity; Software - selectable baud rates. 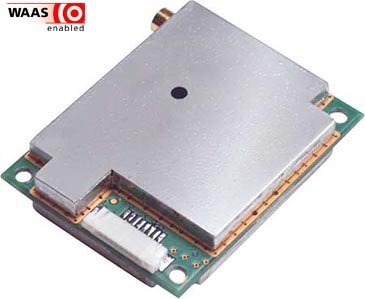 This GPS 15xH-W item 010-00240-23 replaces the GPS 15H-W item 010-00240-06.